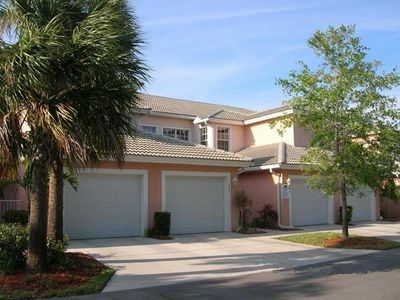 This 2 bed, 2.5 bath townhouse is perfect for small families and couples! 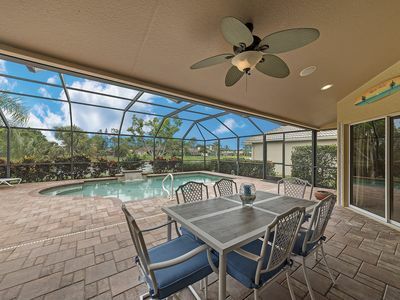 Professionally decorated and fully outfitted with everything you need for your stay in Naples. 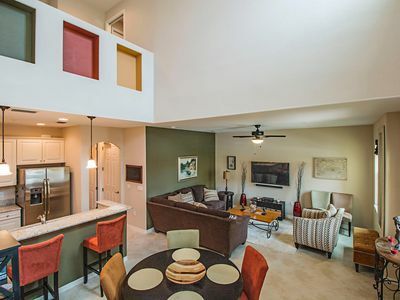 It features new stainless steel appliances, free high speed wifi, and 2 flat screen tvs. 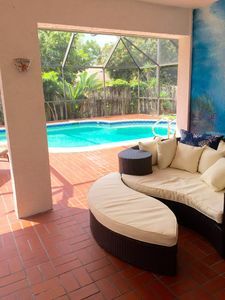 Located in a Quad, guests staying here are welcome to use the main pool at the village center as well as the private Quad pool right outside the back door. 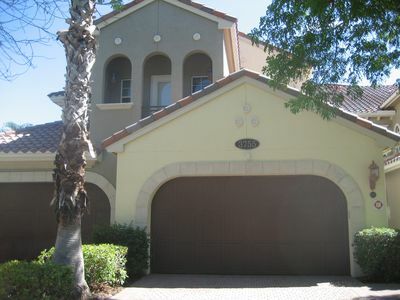 There is a 1 car garage and ample parking spaces in both front and back of the unit. Ole at Lely Resort in Naples, FL is an award winning unique Resort Community with Mediterranean architecture, remarkable landscaping and all the amenities you need to enjoy a southwest florida vacation.The Ole Village Center offers a beautiful, resort-style pool, complete with pool-side service, spa hot tub, private seating areas, beach volleyball court, hammocks, waterfall, a state-of-the-art fitness center, a pub for dining with pool tables and several large screen HDTVs, a bistro for special events and fine dining, an ice cream parlor, an internet café, a movie theater with public and private showings, business center, children’s playroom, and computer lab with 8 computer stations, a business center, and more. 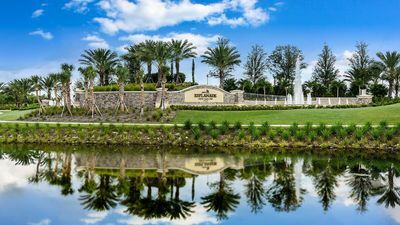 There are 3 golf courses within Lely resort. 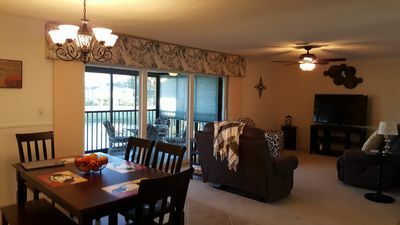 Tennis and basketball courts are located a two minute walk away from the Unit. 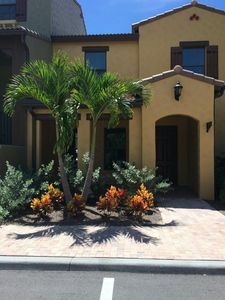 The location of Ole at Lely Resort and this Townhome is about 15 mins from 5th ave downtown Naples, 15 minutes from the pier and the beach, and 5 minutes from I-75. 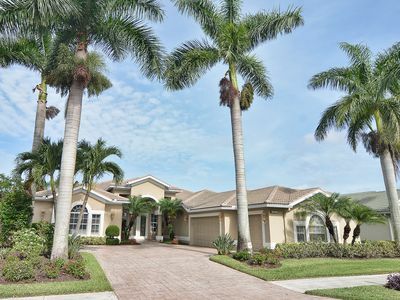 Saltwater Pool Home w/Lake Views, Gated, Close to Gorgeous Naples Beaches! 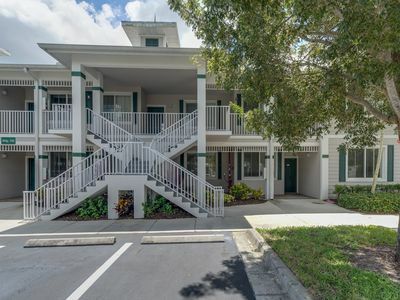 Luxurious 2 bedroom Condo in Ole Lely Resort, RICH in Amenities! Apartment in beautiful location with tropical pool. 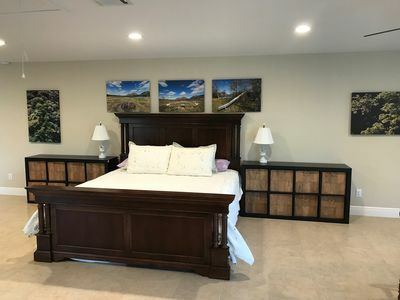 Beautiful view, newly furnished, close to downtown! 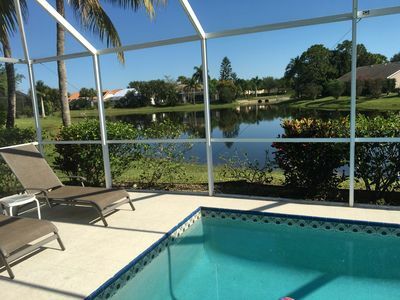 Newer condo in naples with beautiful lake view, heated pool. 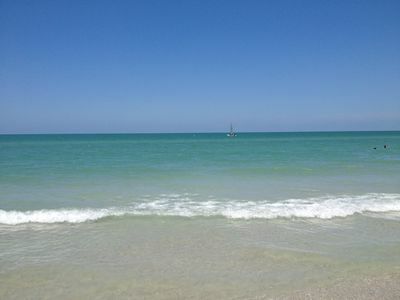 10 min from Marco!